Many of us have experienced some traumatic event in our lives when a friend, close relation, spiritual leader or therapist has been very helpful. With their help, we’re often able to bounce back from life’s many traumatic events. That’s the essence of resilience. However, for those living with mental illness, sometimes it’s not that simple. Often, they need someone who has been there, which is where peer supports come in. Let me tell you my story to illustrate. There is a saying I later learned: seduced by the illness. I could actually see myself being magnificent in my defeat. At one point in my life, I considered myself a proud warrior. An officer in the world’s finest navy. The first in my family to complete college. I had a promising career, loving wife and beautiful daughters. I don’t recall at what point I stopped enjoying life. I do recall that sometime in my late 20s I began feeling anxious about most things, which gave way to an ever-increasing degree of forlornness and restlessness. By the time I was separated from the Navy, I felt on the verge of losing it all – including my sanity. Then I did lose everything. Something inside of me had fundamentally changed by the time I was officially diagnosed; the only remnants of my past glorious life were a set of dress blues preserved by a loving mom. Here is where my story could have ended had I not been extracted from this place, lifted out as if by helicopter, by an insightful judge who thought me worthy of another chance at life. Even given the chance of treatment (versus incarceration), I had not made a commitment to see my life getting better. Treatment was boring, and I didn’t like taking my “crazy pills.” As I sat alone on the bench outside the men’s dormitory, I pondered my fate: jail wouldn’t be that bad. At least I could escape from treatment. I had made friends out in the world, some old acquaintances from high school, and new ones, exotic and exciting. There is a saying I later learned: seduced by the illness. I could actually see myself being magnificent in my defeat. My stepfather’s words, “You’ll never amount to nothing” were wrong. I would be something: a good bad example. The words she spoke caught me by surprise; I had been lost in my own day-mare. Her words were not only startling, they were chilling. Before I could ask, the facility nurse answered my unspoken question. She spoke so boldly and so assuredly. On a recent trip to Washington, I asked Carlo DiClemente, PhD, a visionary in addiction and health behavior change, if he could tell me at which stage of change peers could be most effective. To which he responded, “Contemplation, but you knew that, right?” Yes, I did. If only all peers were as skillful, subtle and engaging as that nurse had been with me. She somehow knew I was ready. She possessed a level of recovery she trusted and in which I could trust. Competency is more than the acquisition of knowledge and the ability to perform; it is the capacity of a person to understand a situation, draw from his/her own trajectory and to act accordingly. Peers have much to offer those on a personal quest for recovery because they have been there. The power in peer support isn’t the training; it is the lived experienced. Competency is more than the acquisition of knowledge and the ability to perform; it is the capacity of a person to understand a situation, draw from his/her own trajectory and to act accordingly. As in any aspect of life that is difficult – lifestyles, habits, beliefs or self-image – change can be a daunting task, sometimes seeming impossible. Change involves a process. And that’s where peers come in. The good ones seem to instinctively know there are two parts to any change process: what to do and when a person is ready to do it. When we become confident in our recovery and others can trust in that, we are truly on a pathway out. We are then at the stage that represents the sweet spot for peer support. 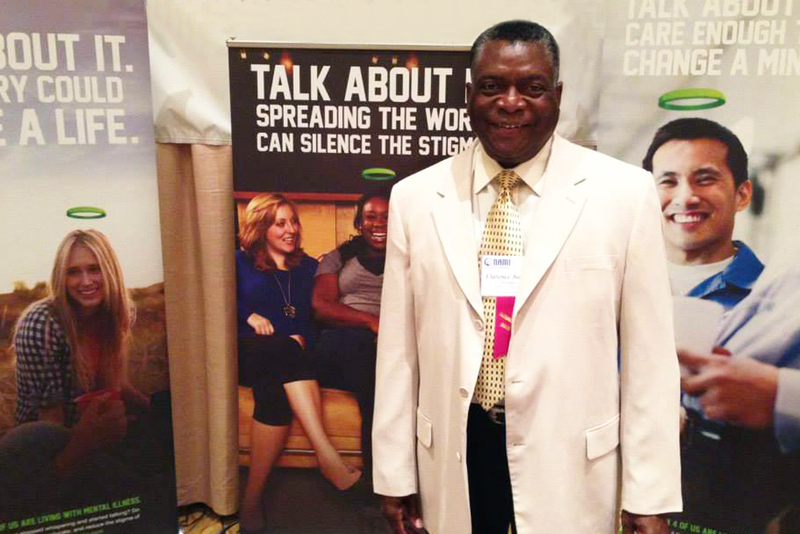 Clarence Jordan is the author of “Peers Supporting Recovery: How it Works” in the June 4, 2012 issue of Mental Health Weekly. If you or someone you know is interested in beginning the recovery process or learning more about peer support the resources below provide a helpful starting point. The importance of peer support under the right circumstances cannot be underestimated. There are a variety of challenges that cannot easily be overcome by a casual conversation with a supportive friend, intense therapy, or even medication. Sometimes the only thing that matters is the voice of someone who has been there. I chose to work for Beacon in part because of the importance mental health issues have in my life. I am able to work at Beacon because of the healing I found through peer support. I am a survivor of childhood sexual abuse. At the time it was occurring, I believed such things only occurred to girls. There was no one I could trust, and in fact the one therapist I took a chance with, refused to help. This left me alone with a level of internal pain and anguish I cannot describe. As a child, I found child-like solutions for unsolvable problems. To protect myself from the fear of the physical pain from future attacks, I started hurting myself to hopefully increase my tolerance for pain. Faced with an intolerable feeling of powerlessness, I blamed myself for the attacks— at least then I could pretend I could be safer if only I did something different next time. To protect myself from being betrayed again, I learned to never trust anyone. I grew into a man incapable of trust, and filled with self-hate. I struggled with self-injury and addiction. The more I hurt myself, and the more I self-medicated, the worse the self-hatred got. Until I reached the point of considering suicide, it just kept getting worse. After reaching that emotional bottom where death had become preferable to life, I discovered the power of peer support. My first foray into peer support was in the area of addiction. I did not understand my past; I could only see the pain of my present. Through the stories I heard from others, I learned that it was possible to deal with pain, and stay sober. I learned that I never had to medicate myself again. Relapses, I discovered, were optional. When newly sober, I started experiencing flashbacks from a past I could not face, and I became desperate for help. The suggested therapy, or “outside help” as my friends called it was helpful, but only to a point. Something was missing. I was sober and stable, but not happy, and not improving. I started to wonder if I had gotten sober for nothing. When I heard a fellow survivor speak, and subsequently went to a support group for survivors, EVERYTHING changed! All the loneliness, the self-hatred, and the despair started to fade. I FELT truly accepted for the first time. When I talked to my therapist about hurting myself, I always looked at the floor in shame. Here, people looked at me and said “Me too.” Every “weird” thing I hated about myself ended up being typical feelings and actions for a survivor. I discovered I was not alone in locking my bedroom door at night. Other people also got freaked out for no apparent reason by innocuous items like I did when presented with campfire marshmallows. I discovered that I was a good person, and started to shift my loathing to where it belonged— against the perpetrator and his actions. Ultimately, I was finally able to talk about anything, and actually make progress. Today, I am not cured, but I am happier, healthier, and guided by a trained therapist on a path towards healing— a path I could never have found without peer support. Peer support cannot replace therapy, but neither can therapy replace it. Thank you for sharing this powerful and very personal experience. Rick, thank you so much for sharing your story. It is amazing what we can accomplish as individuals, but even more incredible what we can do when we have the support and encouragement of others in our corner. Inspiring story!! Clarence is the best!